I need to vent. I don’t think I have ever vented in the years of doing the reviews. Let’s give it a whirl: These are not boat reviews. These are design reviews. It would be impossible for me to actually see and sail every boat I review. 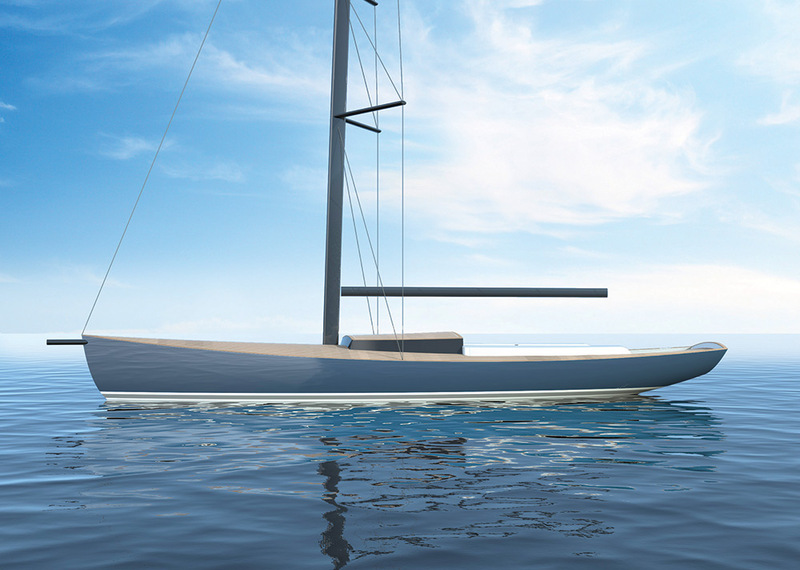 Many, like this Didden 34 Daysailer, are not even built yet. Some never get built. I think most manufacturers know this. I have said it many times over the years. I review the design. With this in mind and the fact that the review itself constitutes the better part of a page of free advertising you’d think the builder would make an effort to get me the very best material available. After all, all I know about this boat will come from that material and that material will find its way into the review. What I prefer are some designer’s comments, builder’s comments, basic specs and dimensions and hopefully some design drawings, such as the sailplan, interior layout and deck plan. I’d always love to see a set of lines for the hull. But things have changed. Much of today’s design work is done on a computer using three-dimensional modeling programs. Most offices combine two-dimensional and three-dimensional design work. That’s fine. But in the case of this design, the Didden 34 Daysailer, I only got very rudimentary three-dimensional images. I got no deck plan, no interior plan, no real sailplan and no designer or builder comments. I went on line but couldn’t find more than I already had. It perplexes me. When I started out and to this day I try to get a very complete package to any magazine interested in publishing my work. This is very important to me. It will define how the world sees my design work. What I did get with this “press package” is two three-dimensional images, neither of them showing the keel or rudder. Neither with any detail on it whatsoever. They did provide me with a very thorough price list for options and some cryptic specs. The hull looks fine, as far as I can tell. The rig looks like a rig. There are no outstanding features listed in the specifications. But I’m going to soldier on with the review the very best I can. It will be short. I like the strong sweep to the sheer of the Didden 34 Daysailer. I also like the subtle curvature to the stem rather than a straight line stem. There is more overhang aft than I would go for. I’d prefer more DWL. The D/L is 136. The L/B 4.24 indicating a narrow boat. You have your choice of two fixed-draft versions of two lifting-keel versions. What they look like is anyone’s guess. The cabintrunk is modeled as a box sitting on a cambered deck. There is very little shape to the box and zero detail. Looking at the builder’s previous work they appear to be a very competent and skilled yard. I’m sure they will build a wonderful boat. I assume the design is done in house. There is no mention of an outside designer. Maybe they will never have detailed plans. Maybe they are the type of builder who knows exactly how the boat will be detailed so no detail drawings are required. That works. The SA/D is 29.83 which seems high but I don’t have a sailplan so how am I to check it? LOA 34’2”; LWL 26’3”; Beam 8’; Draft (standard) 5’11”; Draft (shoal) 4’3”; Displ. 5,511 lbs. ; S/A 590 sq. ft.; SA/D 29.83; L/B 4.24; Auxiliary 13 hp.